Mallorca is an island where you will be able to enjoy a huge amount of outdoor activities, where you will be amazed by the infinite beauty of its stunning nature and you will experience some of the most breathtaking sunsets you’ve ever seen in addition to exciting excursions through the Tramuntana mountain range. But in addition to all these activities, Mallorca is also an island famous for its gastronomy based on the Mediterranean diet. 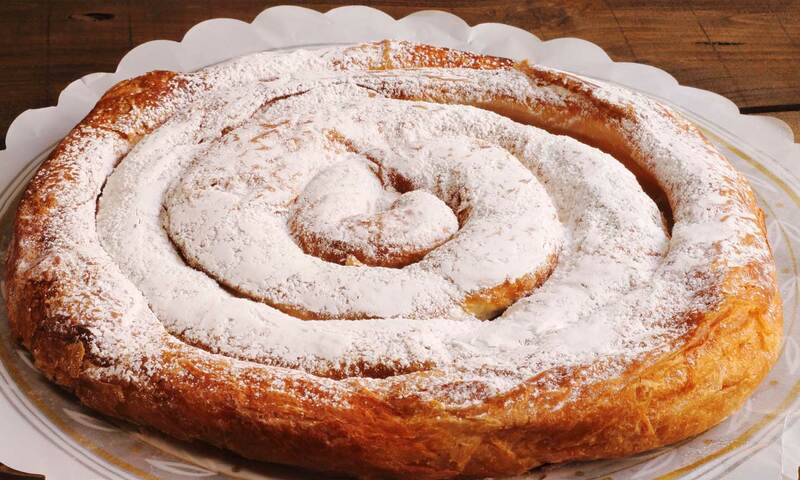 And today we would like to recommend you the best typical Majorcan sweet pastries. Ensaimada is a product created in the 17th century and is one of the most famous Majorcan products around the world. 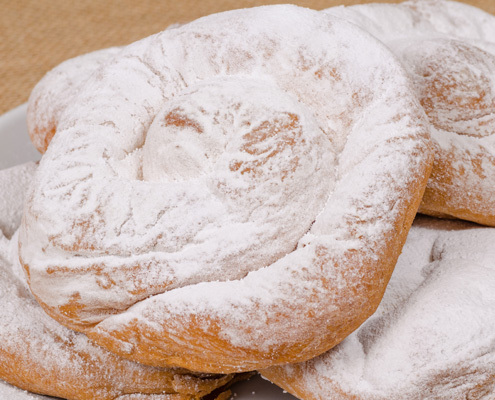 Ensaimada from Mallorca is made out of water, flour, sugar, eggs and lard. All these ingredients form a spongy and fluffy sweet mass which then gets baked. Traditionally you will find two types of Majorcan ensaimada: the traditional plain ensaimada (with no filling) and the pumpkin strands in syrup ensaimada. But after becoming such a popular product on the island, you will also find ensaimadas filled with chocolate and cream, among many others. 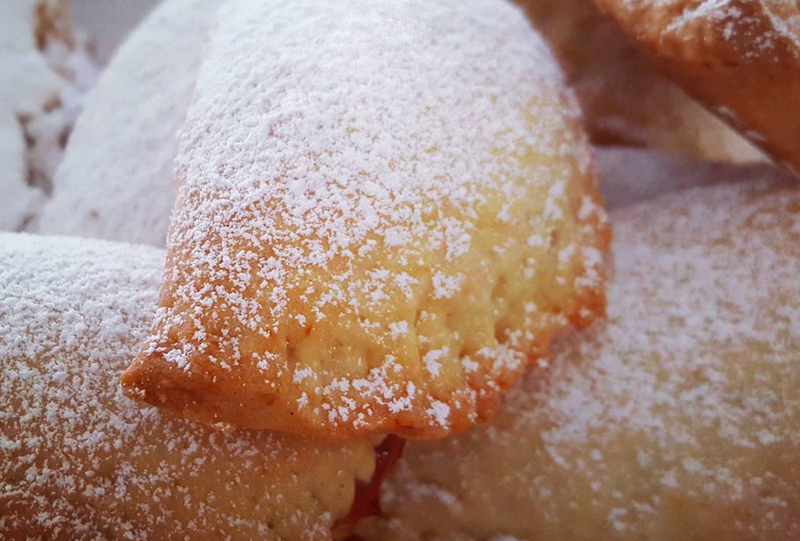 Another one of the traditional and well-known Majorcan pastry products are ‘robiols’. These pastries are typical during Easter in Mallorca, but you will be able to find them all-year around at any Majorcan bakery shop. ‘Robiols’ are made out of a crunchy and sweet dough and you will find ‘robiols’ filled with pumpkin strands in syrup, all kind of jams, quince and cottage cheese. 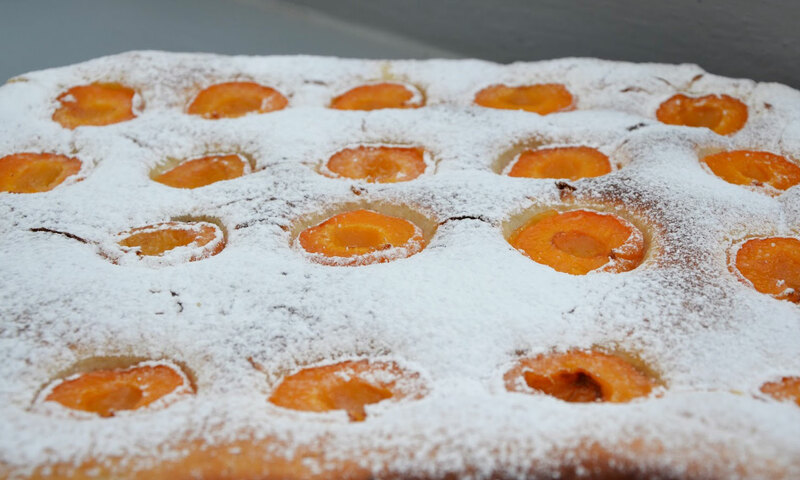 Last, but not least, another one of the Majorcan pastries we would like to recommend you is the ‘coca d’albercoc’ (apricot coca), which is another one of the traditional Majorcan pastries there are. It is a sweet and very spongy pastry made out of flour, potato, sugar, sebum and yeast and on top they put fresh apricots, cinnamon and some sugar to add a special flavor and give this pastry a lovely look. Here at Hotel Ca’n Bonico we would like to recommend you to stop by the ‘Can Xasquet’ bakery shop, located in the center of Ses Salines very close by to our hotel. In this beautifu, traditionl ‘Forn’ you will be able to try all the mentioned pastries and many others. Enjoy!